Carmen’s pregnancy had gone smoothly. Well, it went as smoothly as a pregnancy could go for a woman who lived in fear of a vampire showing up at her door. Even with the garlic wreath on her door, Carmen worried that Hugo’s wife Imane might stop by to finish the fight she’d tried to start when she first learned of Rodrigo’s existence. Hugo was super happy when he heard the news that he and Carmen were having twins. His smile was infectious, and Carmen felt like she’d been bodysnatched as she found herself smiling right back at him. 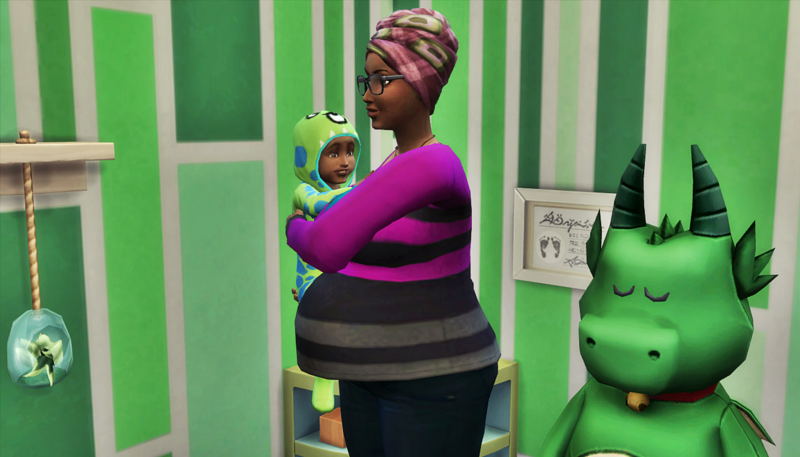 She certainly hadn’t gotten pregnant on purpose, but in that exact moment, she couldn’t bring herself to be upset. When she wasn’t standing directly in front of Hugo and his broad smile, Carmen was less happy. She could no longer deny her homewrecker status,s he could only vow to do better going forward. Also, she was less happy because of what two growing babies did to her bladder. Carmen always had lots of visitors over, and being pregnant didn’t change that. One visitor was Daniella, Luca’s little sister. 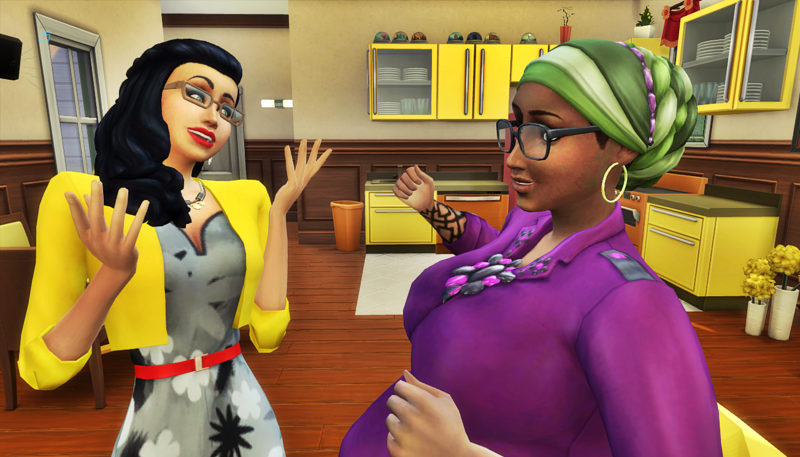 Once Daniella joined the world of being a mom, she and Carmen had developed a friendly relationship outside of Carmen’s friendship with Daniella’s brother and in-laws. She stopped by when she could, and some of her visits coincided with Hugo’s visits. If it was weird for Hugo and Daniella to transition from high school classmates to adults discussing whether it was easier to potty train a boy or a girl, they didn’t show it. There was lots of potential for things to get awkward, but the best thing about Daniella was that she didn’t judge. She knew Hugo was the father of Carmen’s babies, and didn’t bat an eye. She simply said she was used to crazy things happening, and she was not going to pass judgement on two people so obviously in love. 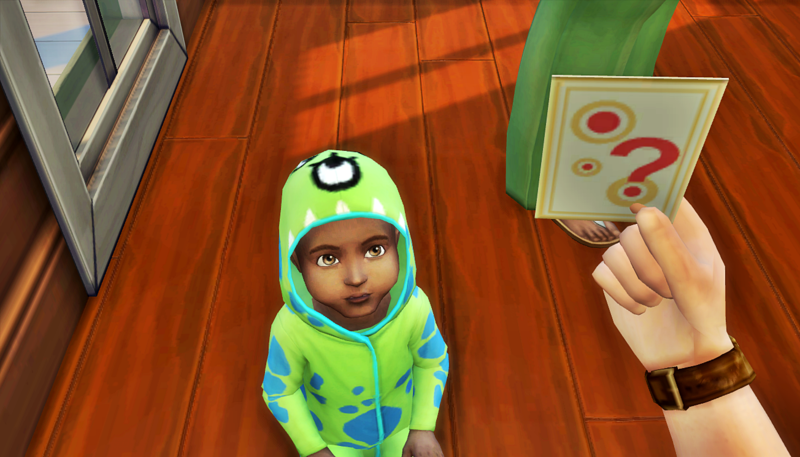 She got a quick moment alone with Daniella when Rodrigo asked his father to help him with his flash cards. 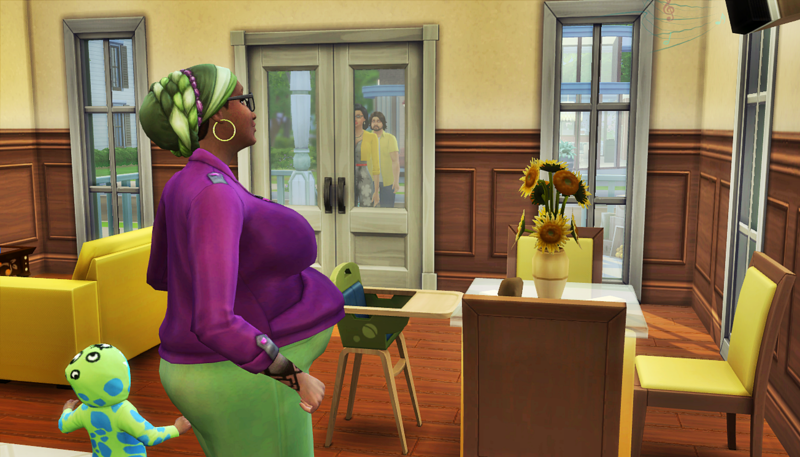 Carmen was really glad for the interruption because she was dying to ask questions about Robyn’s pregnancy, but she didn’t dare ask them of Laurel. Carmen watched as Hugo taught Rodrigo, or rather tried to teach Rodrigo, how to say toothbrush. Consonant sounds with the letter “h” in them were still giving him trouble, but he never gave up. He was such a sweet angel, and almost never had temper tantrums or made things messy on purpose. Carmen turned her attention away from her two favorite (so far) men to talk to Daniella. “I’ll do that,” said Carmen, “now, tell me about what you’ve got planned so far for this wedding of yours.” Daniella filled her in on what she had so far, squeezing in as much info as she could share because she knew Rodrigo would soon need Carmen’s attention soon. Carmen happily listened to all the plans for the wedding as she watched Rodrigo finally give up on saying toothbrush properly that day. Somehow she managed to get through her pregnancy, though when she looked back on that time, she had no idea how she was able to carry a heavy toddler around while heavily pregnant. Once she brought her twins home, everything had to change. Even with Hugo’s near constant presence, Carmen often felt overwhelmed. She was in love with her three boys, but she was 100% sure she was done having kids. Aside from the fact that she was never going to sleep with a married man again (and had no other prospects), there was simply no more room. Mauricio’s and Marco’s bassinets were both in the main living space. 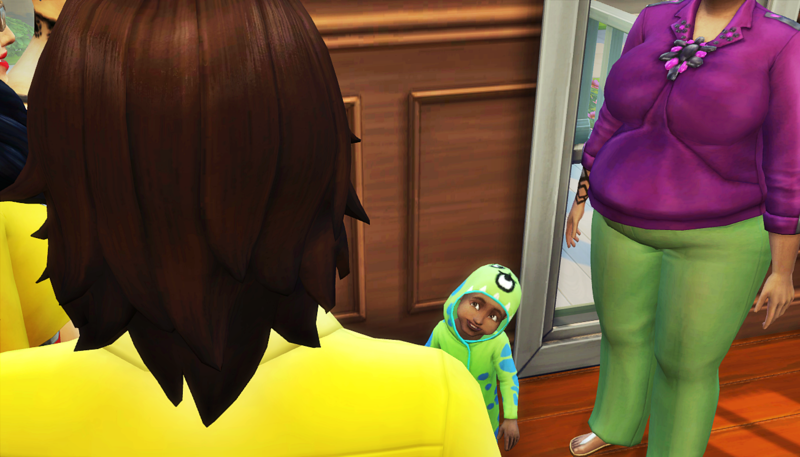 She wasn’t sure what she would do when they aged up to toddler. Her house was feeling smaller and smaller with each inch her boys gained. Yet, in those moments where both of the twins were asleep, the house felt like it used to. In those moments, it felt like nothing had changed. It felt like it was just her and Rodrigo, making it work. But time marched on. Carmen saw how Rodrigo was able to do more and more things by himself. She could see how this new life, now with four of them, could work just as well. 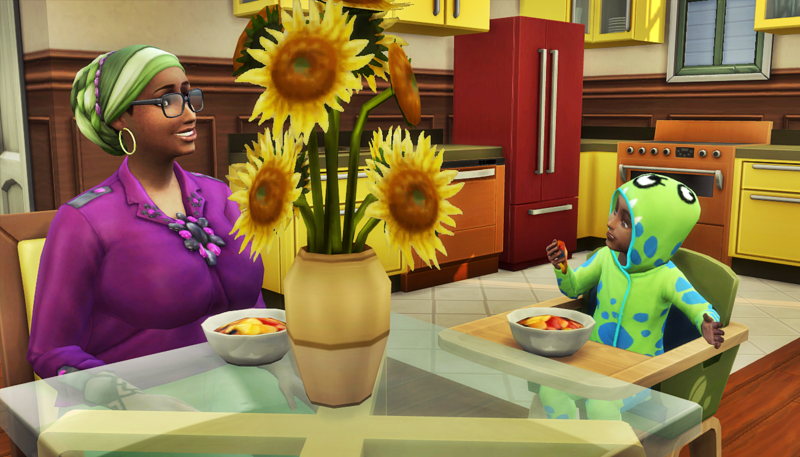 Lovely family!Still hoping that Carmen figures her stuff out, and worrying a bit about Robyn…. I love Carmen. Man did she did get huge! Lol..
It’s good that Hugo comes around. But dang, he has 3 kids with Carmen now, will he ever try to leave his wife, can he? Augh…. The last scene was sweet where Carmen figured that she could do this. But when the boys are toddlers, watch out girl, you are gonna want to ship those boys off to their Daddy for some much needed Carmen time! True story: we were at the Dairy Queen and my husband had to go clean the men’s restroom because our two boys were having a contest to see who could stand the furthest from the toilet and still hit it. They were 8 and 6 at the time and I was pregnant with my third boy. Ugh!!! HA! “She was in love with her three boys, but she was 100% sure she was done having kids.” Uhhhhhhh, you weren’t sure when you found out you were having twins?? LOL, girl please. I’m glad she’s less overwhelmed and finding a good rhythm though. That’s probably the most important part. She grew up in a family with three kids, so to her it’s normal. I think it took a while for the reality that she wasn’t actually a part of a two parent household to sink in. ohhhh, I got it now. She definitely saw herself finding the right man, falling in love, getting married, and THEN having 3-ish kids. Not following that path has been hard for her, but not nearly as hard as resisting Hugo. This is definitely a flesh is weak scenario. 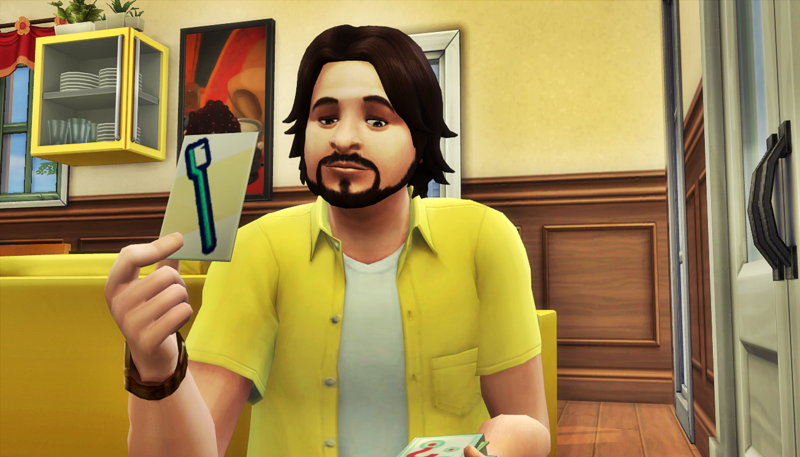 MCCC has caused so much autonomous crazy behavior among my Sims. But what’s interesting is that it doesn’t affect them all. 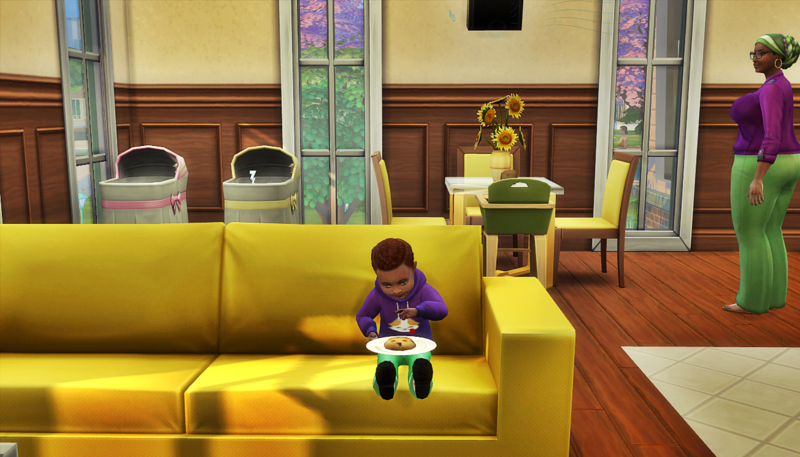 By comparison, Luca and Liz almost never have autonomous woohoo unless they’re outside their own home. But Carmen and Hugo, every time they are on the same lot, they just… well you get the point. The idea of using protection (ie NOT autonomously tryeng for baby) seems to be lost on Carmen lol. I do think there’s also this part of her that would eventually want more kids than just one. And the fact that now all her kids have the same father, that was a driving force as well, even if the father isn’t her husband. Didn’t mean to type that much, lol, sorry. Don’t be sorry! MCCC…the spice of our stories lol. I love this story so much ! Each household that’s the focus is my favorite ! 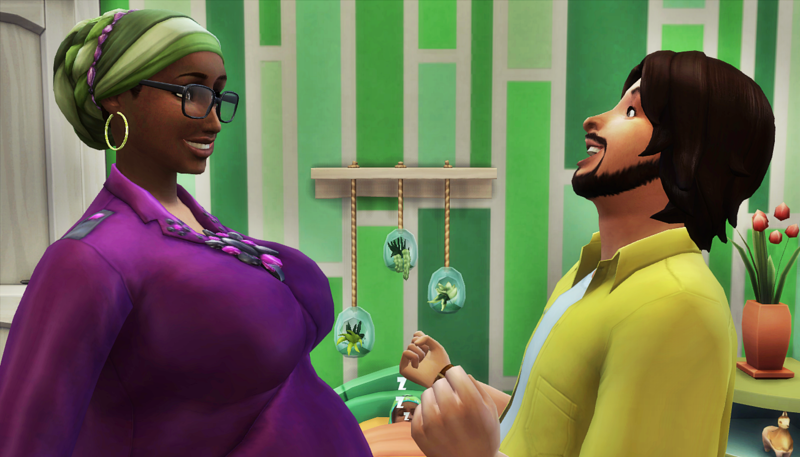 I love that your favorite keeps changing as each household is updated. That makes me feel really good about doing a neighborhood rotation.